The summer doldrums appear to be officially here. 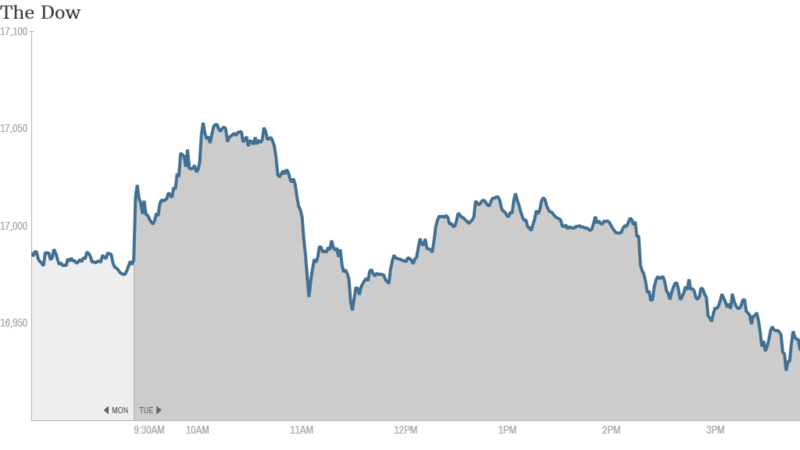 Stocks didn't do much Tuesday -- a day after the market was mostly spinning its wheels. The Dow, the S&P 500 and Nasdaq all fell modestly in late trading on an otherwise tame day, with the Dow down 70 points, or 0.4%. Here are some highlights from today's trading. 1) New York Times, UPS deliver bad news: The New York Times (NYT) reported a bad quarter, with earnings plunging and coming short of analyst projections amid higher costs. The stock fell more than 8%. Related: Have digital subscriptions peaked at the NYT? Shipping giant UPS (UPS) reported earnings that were short of what Wall Street was expecting, and its stock is down more than 3.5%. Profits in U.S. package deliveries, its second-biggest unit, were down 81.5% from the same time last year. 2) Apple nears all-time high, Twitter explodes after hours: After it went nowhere all day Apple (AAPL) is still less than 2% from an all-time high, with the stock on the cusp of $100. Shares have rallied lately following a stock split that brought the stock price to a more affordable level for average investors. Wall Street is also excited about new products like the next iPhone as well as the company's new strategy to acquire more companies. 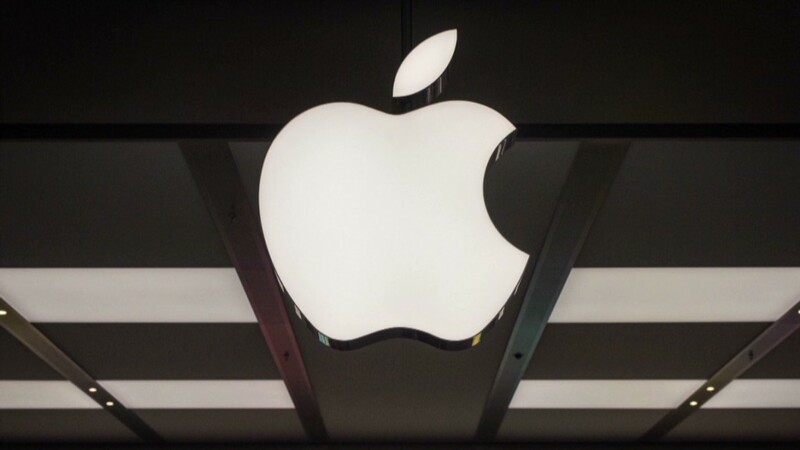 Apple has bought two small start-ups in the past few weeks. Another closely followed tech, Twitter (TWTR), was surging nearly 25% after hours following its strong second quarter report. Sales and user growth topped expectations. 3) GameStop drops: Shares in video game retailer GameStop (GME) fell almost 6%. The drop comes after Electronic Arts (EA) announced a new subscription service, EA Access, for Xbox One owners. The game maker promises that the service will give subscribers access to its biggest titles. EA, the top gainer in CNNMoney's Tech 30 index this year, fell 2%. 4) Food movers: Chicken chain El Pollo Loco (LOCO), after a spectacular rally following its IPO, fell 13%. The company's shares are almost double their offering price from just three trading sessions ago. Darden Restaurants (DRI), the company that owns the Olive Garden and recently sold Red Lobster, told investors that chairman and CEO Clarence Otis would be stepping down after the end of the year. David Hughes a board member, will be following him out the door. The moves leave three seats open at Darden's board of directors, and the company has promised them to activist investors who had been pushing for a shake-up. Its shares rose more than 4%. 5) Phone stocks jump: Telecom Windstream (WIN) told investors that it plans to spin off part of its network into a REIT, a type of real estate investing vehicle that should lower the company's tax bill. Shares surged 12%, making them one of the top gainers in the S&P 500. Stocks across the sector were higher on speculation about other similar moves happening. Frontier Communications (FTR), another phone company, is up 14% and is the best performing stock in the S&P 500 today. AT&T (T) is up almost 3%, and Verizon (VZ) is trading more than 1% higher. Cable company Cablevision (CVC) shot up more than 3% as well. 6) Herbalife falters: Herbalife (HLF), the nutritional supplement producer that has been going to war with hedge fund investor Bill Ackman over his huge bet against the company, reported earnings that disappointed for the first time in a while. The stock, which soared after investors dismissed Ackman's latest presentation against Herbalife, is down 13.5%. 7) International markets: European stocks were doing well, with the Eurostoxx 50 index about 0.6% higher. Russia's MICEX index, despite the impending arrival of new sanctions, also finished 0.6% higher. Asian stocks ended the day mostly higher, with Chinese stocks doing very well. Taiwan sticks out as an exception, finishing 0.3% lower.